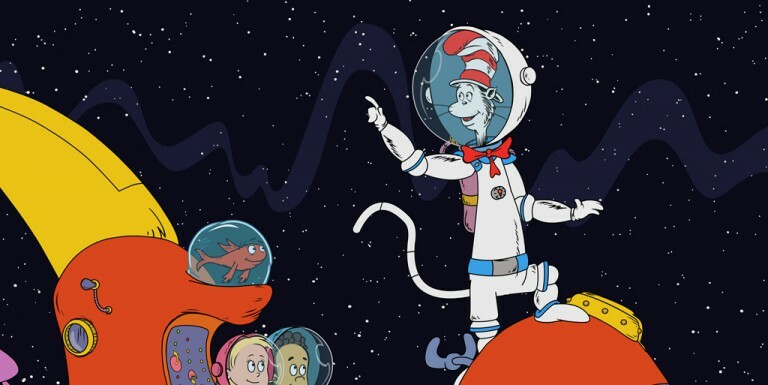 Join The Cat on four new adventures in these delightful 1-hour movie specials! 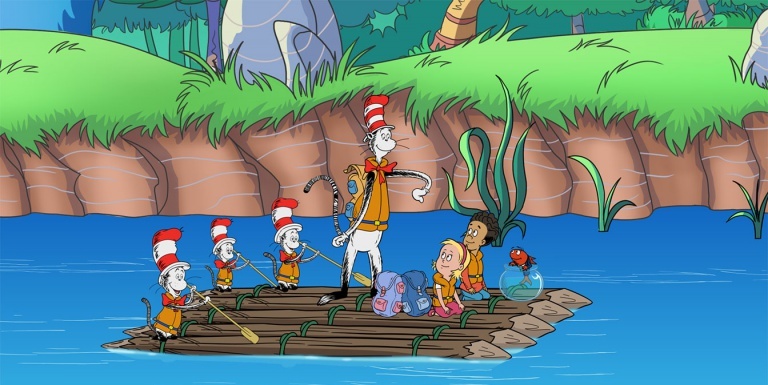 The Little Cats join The Cat in the Hat, Fish, Nick and Sally on a fun and frenzied outdoor adventure as they camp, hike and paddle their way to Fish’s family reunion! 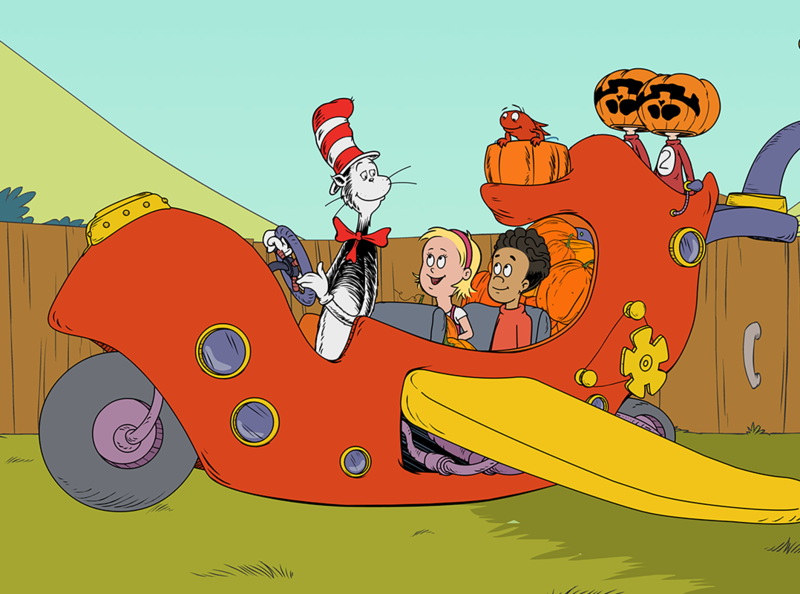 The Cat in the Hat takes Nick and Sally on the craziest Halloween ride filled with howlers and shockers and scary fandangles, big laughs and music and fun from all angles! Their fright-filled adventure takes them deep into the Oooky-ma-kooky Closet where Nick and Sally discover the very best Halloween costumes ever. 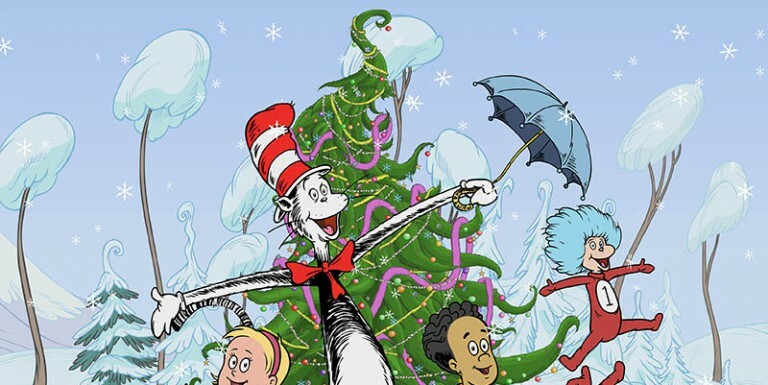 Inspired by the top-rated, fun-filled animated series, The Cat in the Hat Knows a Lot About That!, this one hour holiday movie brings our favourite characters together to discover the magic of Christmas.